On Wed 15th February, the Launch Event for Alcester Schools’ Book Award 2017 took place in our Library at Alcester Grammar School. It was great to welcome all the students and staff from the other schools. The response from the students, who were chosen to participate in this event, was superb; reminding us of the value of books. 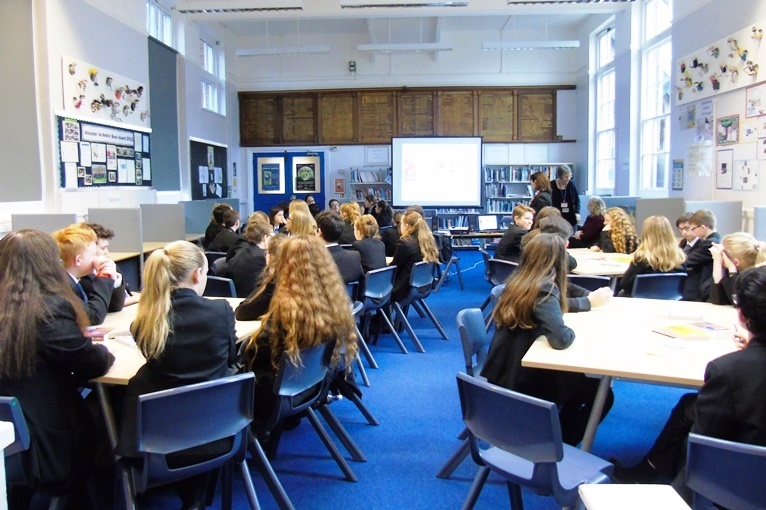 All three Alcester Schools host a different event and the wonderful game Linkee that we played in the afternoon, definitely helped to ‘link’ the schools together in fun and friendship. I really enjoyed the launch event today because it gave you an opportunity to compare interests with others from other schools. Not only that, but I loved the fact that while we were all having fun, we were improving our communication skills. My favourite part was the LINKEE game because it was all fun and games and it was a good laugh. I learnt about book buzz and how it benefits before reading a book. I thought the launch event was good because we found out about the books and rating them by the cover was good. I think the videos were good especially when other pupils shared their thoughts on the different books.